One of the greatest challenges that working parents face is finding high-quality childcare, especially when you have to be at work early or work past when the typical school day ends. YWCA Hartford Region offers peace of mind with convenient and affordable childcare programs that cater to the unique developmental needs of each child. Our Early Learning and Childcare Centers are dedicated to providing young children with a healthy beginning from infancy through age 5. Programs open at 7 AM and close at 5:30 PM. 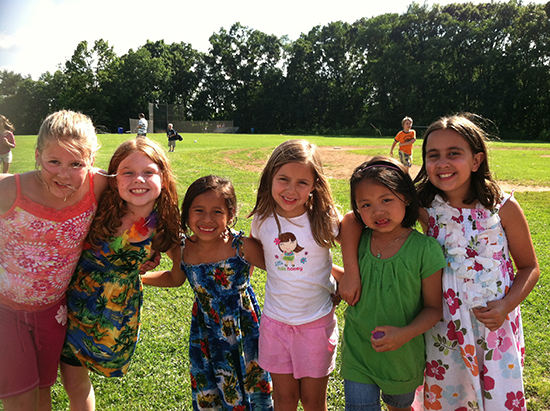 YW Kidslink is a before and after school childcare program for elementary school children which is offered in specific schools in Bolton, Rocky Hill and West Hartford. Programs open at 7 AM and close at 6 PM. In all of our programs, children learn through the most effective method: play. Programs and curriculum are child-centered and child-driven, and our professional, well-trained teachers observe, guide and engage each child in a diverse array of positive activities. As a result, children are excited to attend, and parents are happy knowing their kids are learning and having fun while doing it. Each childcare site is licensed by the Connecticut Department of Public Health. All YWCA programs are offered to benefit our members. If you do not already have a YWCA membership you may become a member as a part of your registration process. You may find information about YWCA membership here.